International Women’s Day is an appropriate time to take stock of the many ways in which immigrant women contribute to the labor force of the United States. Some of these contributions are often overlooked, but all of the work that immigrant women do adds value to the economy—and to U.S. society as well. Immigrant women workers are found across the educational and occupational spectrum, meaning that they fill a wide variety of jobs from high-skilled to less-skilled. They play especially important roles in healthcare as nursing, psychiatric, and home health aides and as registered nurses. They are also a crucial component of the labor force in a number of service and light industrial jobs ranging from housekeeper to sewing machine operator. Many of the immigrant women who work for the lowest wages are unauthorized, which severely limits their opportunities for upward mobility. But that doesn’t negate the value of the work they perform. The labor force participation rate of immigrant women (55.6 percent) is nearly equal to that of native-born women (58.6 percent). Just over half (50.8 percent) of immigrant women workers are from Latin America, and nearly one-third (31.3 percent) are from Asia. Among all immigrant women workers, those from Africa have the highest rate of labor-force participation (65.6 percent). The largest numbers of immigrant women workers are from Mexico (2.8 million, or 23.8 percent), the Philippines (752,648, or 6.4 percent), and China (570,378, or 4.8 percent). More than one-third (33.6 percent) of immigrant women workers have a bachelor’s degree or more, 23.7 percent have some college education short of a bachelor’s degree, and 42.8 percent have a high-school diploma or less. 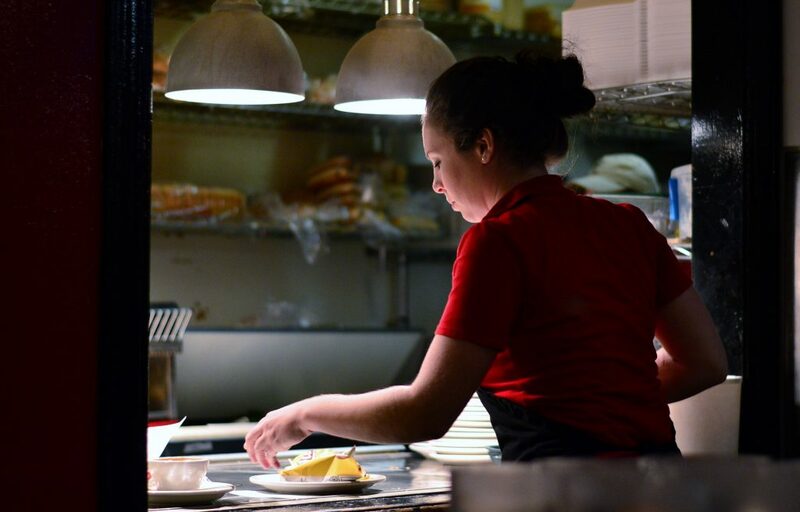 Two-fifths of immigrant women workers (42.2 percent) fill low-wage jobs earning $20,000 per year or less, while 15.2 percent earn more than $60,000 per year. The largest numbers of immigrant women workers are maids and housekeepers (882,663), nursing, psychiatric, and home health aides (501,740), cashiers (480,391), registered nurses (454,057), and janitors and building cleaners (364,494). Immigrant women comprise more than half (51.5 percent) of all workers in the grading and sorting of agricultural products, 47.1 percent of personal appearance workers, 42 percent of maids and housekeepers, 39.5 percent of textile and garment pressers, and 39.5 percent of sewing machine operators. Among low-wage immigrant women workers, a full 40 percent lack a high-school diploma, while another 34.5 percent have a diploma, but no further education. Nevertheless, these women work essential jobs as maids and housekeepers; cashiers; personal care aides; cooks; nursing, psychiatric, and home health aides; janitors; and childcare workers. These are the kinds of jobs upon which countless other people depend to do their jobs and live their daily lives. However, because these jobs tend to be poorly paid, they are often devalued. The United States needs policies that lift up and build upon the contributions that immigrant women make to our workforce. One such policy would be the creation of a path to legal status for unauthorized immigrants, which would not only boost the U.S. economy, but would allow many immigrant women to realize their full potential to all of our benefit. Photo by Donald Lee Pardue.